With this unique wrist watch in PistenBully anniversary design, you are always on the pulse of time. The dial in the design of the operating-hours meter of the first PistenBully PB 145 D tells the story of 50 years of reliability, precision and inventiveness. The high-quality materials combined with the special dial represent the interplay of power and elegance which makes our vehicles so unique. 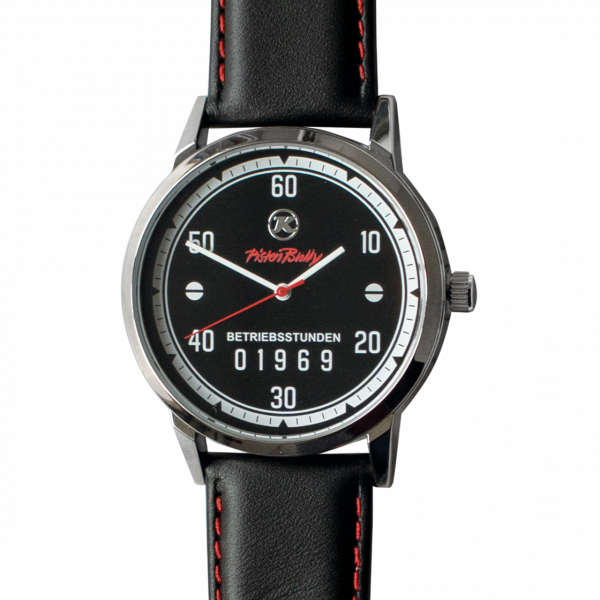 Being the first article in the PistenBully 50 Years Special Edition, this watch is produced exclusively in a small and limited quantity which makes it even more special. Get your 50 years PistenBully collector's item now! High-quality men's wristwatch in anniversary design. Dial in the design of the operating-hours meter of the PB 145 D.
Cookie cutter in the shape of a PistenBully. Interested in finding out about what's new and what's special in the PistenBully shop? PistenBully, PowerBully, BeachTech, PRO ACADEMY and SNOWsat are registered trademarks of Kässbohrer Geländefahrzeug AG.